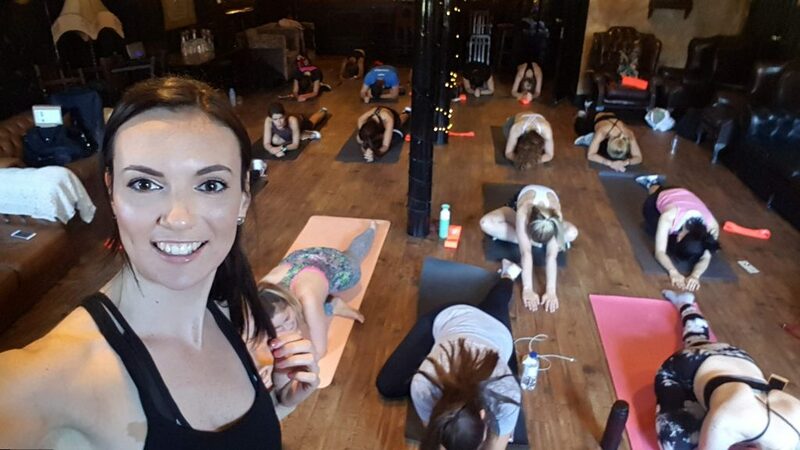 I hosted my first fitness event in Manchester. It was incredible! 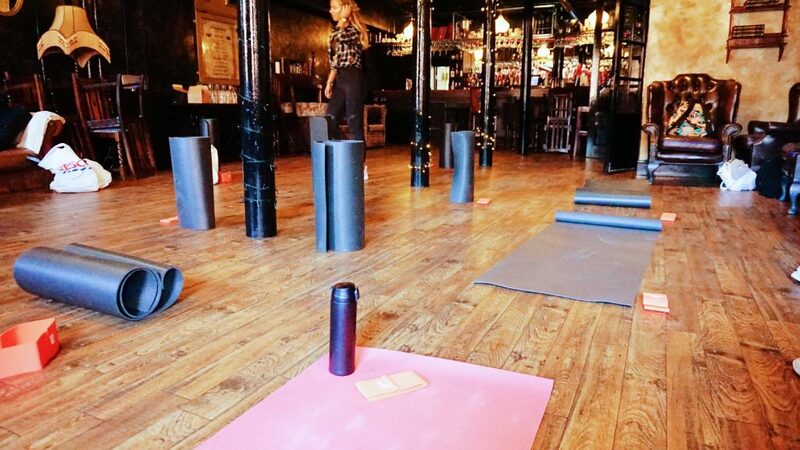 You may remember this blog post from a couple of weeks ago, where I was telling you all about my friend & founder of KIHT Collective, Danielle bringing some of the London fitness scene vibes to Manchester, starting with Yoga & Brunch. Well, I am beyond honoured to say that Danielle asked me if I would host the next event to which I obviously jumped at the opportunity. Given that we would all be sitting down for brunch after the event, Danielle & I discussed that we would rather everybody work up an appetite rather than a sweat. Imagine 20ish people all doing a workout then sitting down for brunch immediately after. No thank you. Therefore, we settled on a resistance band class. The main aim of which being to show everybody a few different ways of using resistance bands and how/when to incorporate them into workouts. Resistance bands are an amazing piece of equipment that really are rather underutilised and have a mixed reputation in the fitness industry though they are becoming more and more popular. 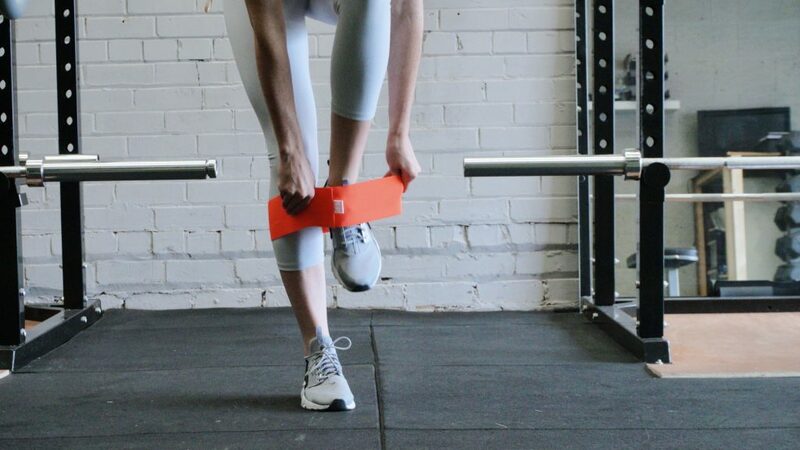 Personally, I love including resistance bands into workouts. At the minute, there seems to be a lot of fuss surrounding ‘Glute Activation’ which seems to be the most popular use for resistance bands. though if I am being entirely honest with you, I am unsure as to why it only seems to be that ‘activation exercises’ are associated with the glutes because all muscles need to be ‘activated’ and put in a position ready for work prior to exercise. Perhaps it is just the way that I warm up though, I always ensure that a few lighter sets of an exercise are completed before I go in for my heavier working sets. That being said, use of resistance bands is not restricted to the warm up phase of exercise. They can be used to increase intensity be it using weights or body weight, they can be used as a method of rehabilitation or corrective exercise, they can be used for flexibility training – really the limits of resistance band use are restricted to the limits of your imagination. Similar to dumb bells actually. With that in mind though, there are limits as to the effectiveness of resistance bands as you progress in your fitness. You will need to increase the levels of resistance as your body adapts to the added pressure however, there is only so much resistance that a band can offer and eventually, it will come down to simply increasing the weight load. For our class though, it was more about discovering a few exercises for resistance bands and using them in a body weight session. 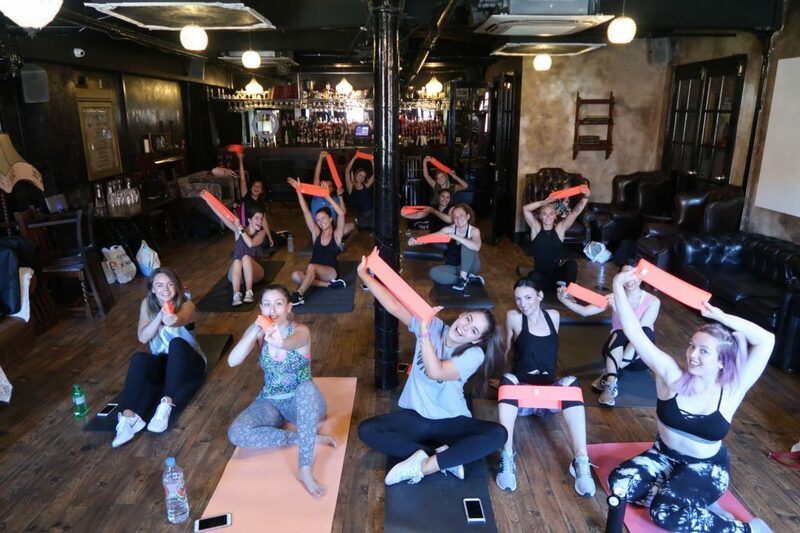 I know I mentioned that Danielle & I didn’t want everybody to be working up a big sweat but we are currently having the best summer ever and the temperatures were already rising towards the high twenties and with the room full of bloggers, it was a hot one. I won’t lie as everybody started to arrive the nerves did creep in and I was starting to doubt myself. Especially because I hadn’t pre-tested the bands we were using, Peach Bands, and Danielle had told me that they were really stiff and tight. Although I was also excited to give them a go, after seeing a lot of people using them on Instagram, I looked them up and learnt that they are made from elasticated material as opposed to rubber meaning that they do not slip, roll up or pinch the skin. Rubber ones are fine to use don’t get me wrong, they do the same job after all but if you’ve missed a spot when shaving you best believe that these rubbery little beggers are going to find it. 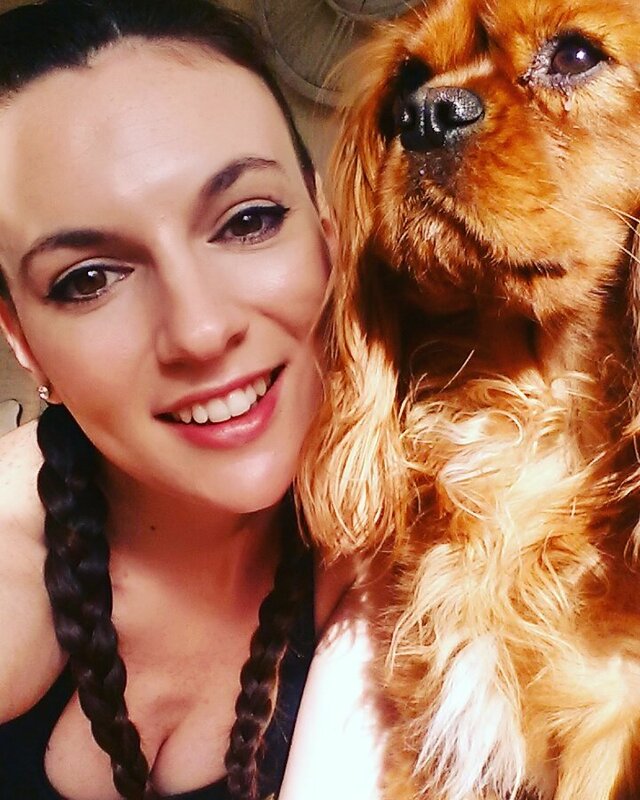 Oh, Peach Bands are also ethically produced right here in the UK which is definitely another reason to support the brand. Thankfully, a lot of my blogger friends were there and they were the BEST support so, thank you guys for helping me keep my cool! 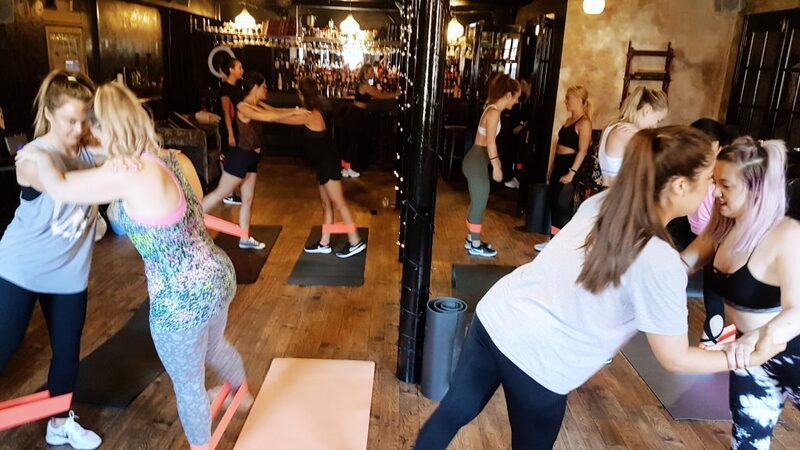 Also, whilst everybody was arriving I had a little play with one of the Peach Bands and though Danielle was not exaggerating, they were tough, they were perfect for the class and use in the gym. 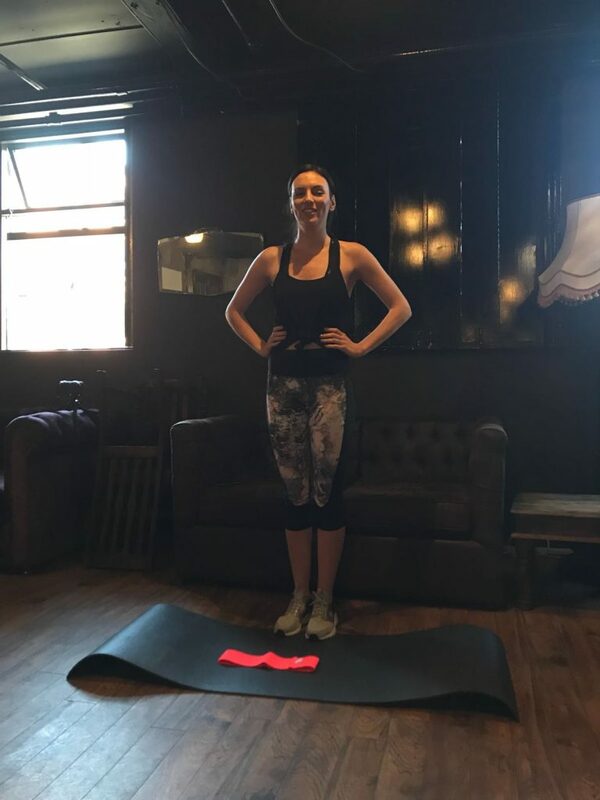 Danielle asked everyone to briefly introduce themselves before we began which I thought was a really nice touch and there was such a variety of people in attendance – including a couple of other fitness bloggers/personal trainers which didn’t help the nerves but they gave me really lovely feedback and said they enjoyed the session at the end which was lovely. 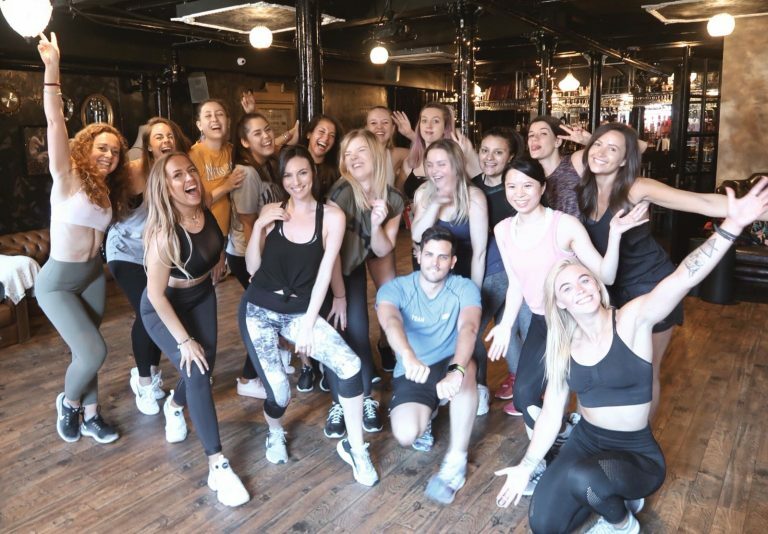 Once we finally managed to get my playlist going – which was full of girl power vibes from Britney to Cher to Shania to Christina Aguilera, I thought everyone was going to find it really cringe but they loved it, thank god – we began the session. I did find it a bit of a struggle standing at the front acting like a school teacher but that’s only because I wanted to join in with everyone. I never like missing out on a workout, especially one with friends. Everyone did have a smile on their face though and there was some good bits of banter going back and forth so it was a nice relaxed workout vibe. 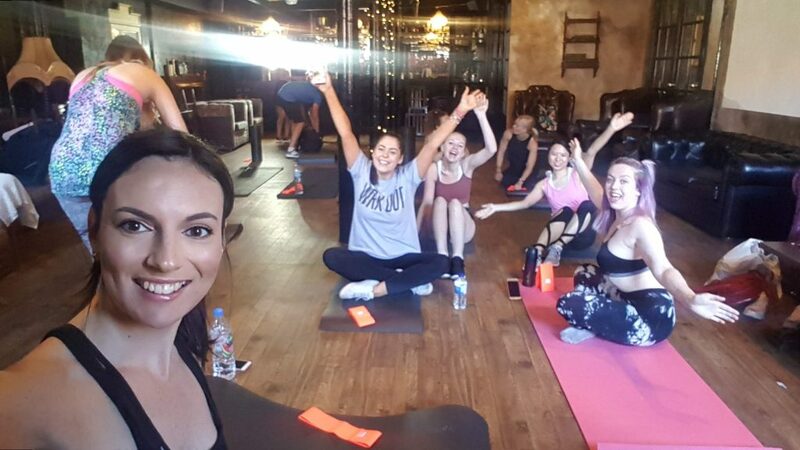 Overall I did really enjoy it and I am so thankful to Danielle for asking me to host, to everybody that came along to the event and to my fabulous friends and fellow bloggers for being so encouraging, supportive and positive – honestly, so much love for you guys. 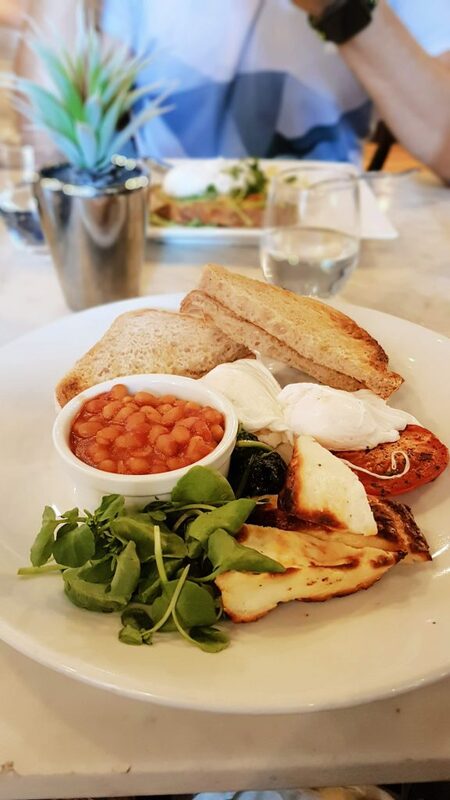 By the end of the workout I was running on a total high, everyone did amazingly well and it all went so smoothly but with that emotional high came a complete loss of appetite which was a shame because I LOVE food, especially breakfast/brunch – it’s my favorite food group. We had pre-ordered though so I was trying to prepare myself to eat. We all moved downstairs to the very prettily decorated dining area of Rosylee and positioned ourselves ready for food. Unfortunately, it did take a really long time to arrive, almost an hour, which was a bit of a shame given that we had pre-ordered before the class started. To make the situation worse, mine was the last to arrive taking about 10 minutes longer than everybody else. I’m not entirely sure what the hold up was, I had only ordered the Halloumi Breakfast minus the mushrooms. I was just about to say to the waitress not to worry about bringing mine out, aside from not really being that hungry, I also did not want to be the only one left eating but just as I was about to speak to her she brought it out. Needless to say, I did not enjoy it but that’s more than likely due to the fact that I had completely gone past the point of even remotely wanting it. Though I do have to say, parts of the breakfast were cold, it looked like my beans had been sat under the heat lamps for a long period of time and I also know that a couple of the other order were slightly incorrect or cold when they arrive. The plates were very well presented though and I think on a quieter, less hot day the food would have been lovely. I did also notice another big party entering the restaurant so I do wonder whether the kitchen was just struggling to cope with the numbers especially being such a hot day. I would still return to the restaurant though to try the food again, just maybe as a smaller party. The next KIHT Collective event has not yet been announced but if I am lucky enough to be invited along again, I will of course be letting you know about it here and on Instagram. Don’t forget to warm up and cool down to avoid injury!